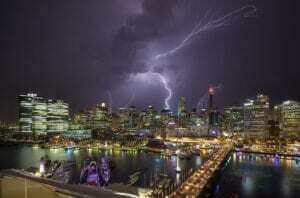 Sending out 13,445 emergency broadcasts throughout 65 buildings across Sydney, managers were able to alert residents via SMS and phone blast about the ferocious storm. Communications ranged from emergency alerts about glass panels shattering and the immediate danger associated, power outages, mechanical failures and notices to bring balcony or outdoor furniture inside the property, right through to general messages for steps to stay safe when moving around the building. This gave residents the time and opportunity to prepare and organise their day, as opposed to being caught in the mayhem of record rainfall, ferocious winds and dangerous flash flooding. Included in your annual BuildingLink subscription, there is no additional cost for unlimited use of the emergency broadcast service. Also used to notify residents about packages delivered, upcoming meetings, fire safety inspections and social events – it’s an instrumental tool in connecting communities and keeping them informed in real-time. To our Sydney residents, we hope you all managed to remain safe! Christmas is on our doorstep, but will your gifts be there for the big day too? The technology solution powering better living. Be the first to hear about the latest releases, industry news and the latest tech.